This branch is thrilled to direct our Victorian members to these participating bookshops to enjoy 10% discount off recommended retail price. Simply show your membership card at a "Bricks and Mortar" store or enter membership information at online checkout. (Please contact online stores directly to confirm CBCA online discount coupon code). Please note discounts only apply to the RRP. 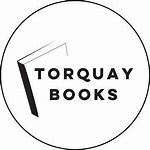 If you are a bookseller and would like to become a participating bookshop, please Download application form or contact us for further information.